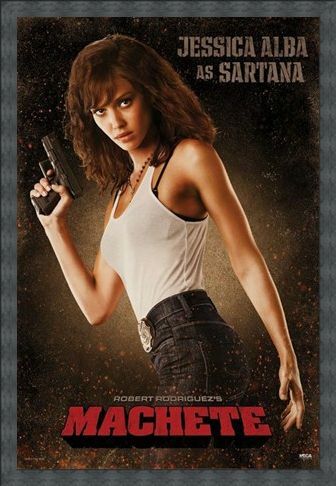 Film Poster: Looking as gorgeous as ever in this sizzling hot action pose is the beautiful American actress, Jessica Alba as her character 'Sartana' in the 2010 action film, 'Machete'. Directed by Robert Rodriguez and Ethan Maniquis, 'Machete' is a blood curdling action-thriller that focuses on the world of immigration with Alba playing an Immigrations Officer torn between enforcing the law and doing what is right. This stunning poster is explosive in style with Sartana looking fiercely into your eyes with sheer determination on her face. 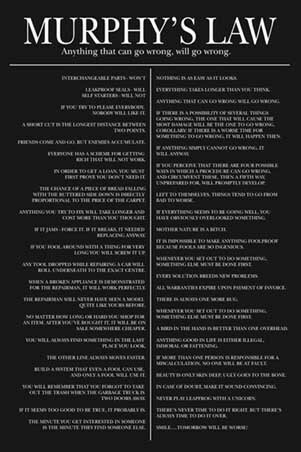 Making clear she is not to be messed with, this brilliant promotional poster is a great way to get to grips with the story of Machete, perfect for any Jessica Alba fan! High quality, framed Jessica Alba is Sartana, Machete poster with a bespoke frame by our custom framing service.